The day a foster kid finds a forever home with a family who loves them like their own is already pretty special. Add in an adoption caseworker with a heart as big as can be and it becomes super special – on a royal scale. Five-year-old Danielle has been part of the Koning family in the US for two years. However, on paper, Sarah and Jim Koning were her foster parents, not her adoptive parents. So as soon as they got the chance to give Danielle the fairy-tale ending she’d been dreaming of, the couple – who have two older boys- jumped at it. Then Danielle’s foster care worker had a brilliant idea. 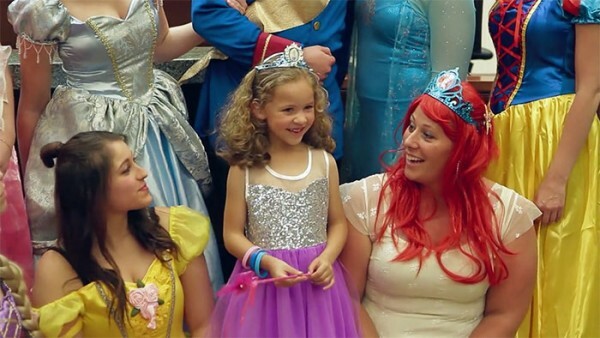 Her charge loved Disney princesses, so she convinced one of her colleagues to come to court dressed as Cinderella. Pretty soon, everyone was getting in on the act, including the judge! 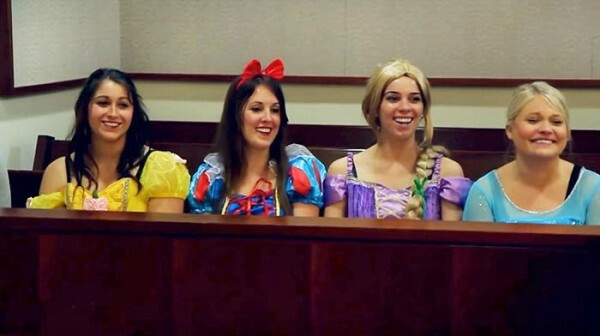 As Danielle sat in the Michigan court room, she was greeted by Cinderella, Aurora, Elsa, Ariel and Prince Charming. Even Judge Patricia Gardner revealed a Snow White costume beneath her robe. And, as you can imagine, Danielle was over the moon. For any child in foster care who has been bounced around, finding this sense of security and permanency is so important. Danielle obviously has her ‘forever family’ and a magical celebration that she will most certainly remember forever. And what a beautiful way to celebrate the Koning family’s happily ever after!